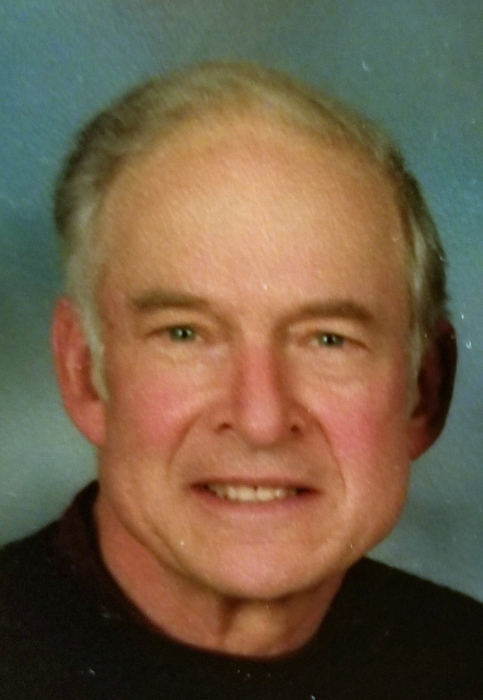 Joseph “Joe” A. Retzer Jr., 79, of Campbellsport died unexpectedly on Monday, February 04, 2019. He was born on July 31, 1939 to the late Joseph Alvin Sr. and Apollonia (nee Schoofs) Retzer in Milwaukee WI. Joe graduated from Pius XI high school in 1958. He honorably served in the United States Marine Corps Reserve. On December 29, 1962 he was united in marriage to his high school sweetheart, Jeanne Gross in Menomonee Falls WI. Joe was employed at General Lumber in Milwaukee, Ebert Farm in Campbellsport, and Kemps Dairy in Kewaskum. He also worked as a seed salesman. His passions were his church, his family, his farm, trees, and his woodworking. He enjoyed his 1959 Olds and going to car nights and shows. He volunteered at the EAA in Oshkosh. He will be dearly missed by all who knew him. Those Joe leaves behind to cherish his memory includes his loving wife of 56 years, Jeanne Retzer; five children, Julie (James) Rohan of Greenleaf, WI, Jody (Laurent) Retzer Crolla of Mt. Horeb, WI, Joseph “Jay” (Heidi) Retzer III of Fond du Lac, WI, Janine (Jim) Christensen of Wild Rose, WI, and Jennifer (Greg) Steube of Sarasota, FL; twelve grandchildren, McKenna (Fiancé Nate Runde) Rohan, Sean Rohan, Kyle Rohan, Kaitlyn Rohan, Jenna Crolla, Liam Crolla, Bryce Retzer, Hoyt Retzer, Brock Retzer, Celia Christensen, Ally Christensen; and Ethan Balcueva; two sisters, Elizabeth Nigh and Sister Joleen Retzer; A brother, Alvin (Patricia) Retzer; four brothers-in-law, Erle Hug, Arlen Haas, Rev. Ralph Gross, and Norman (Sharon) Gross; two sisters-in-law, Kathleen Wambold and Mary Jane (Mark) Peschmann; many nieces, nephews, other relatives and friends. In addition to his parents, Joe is preceded in death by his two sisters, Mary Ann Hug and Jane Haas; his father and mother-in-law, John and Cecelia Gross and step father-in-law, Gerald Rudolph. The family will greet relatives and friends on Thursday, February 7, 2019 at the Myrhum Patten Miller & Kietzer Funeral Home, 350 Main St., Lomira, from 4:30 p.m. until 7:30 p.m., with a Vigil service held at 7:00 p.m. The family will also greet relatives and friends at the church on Friday, February 8, from 9:00 a.m. until the time of Mass at 11:00 a.m. In lieu of flowers, memorials to St. Matthew Catholic School, Campbellsport or to a charity of your choice in Joe’s name is appreciated by the family.